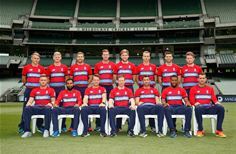 ASHTEAD, UK – 23 May 2018 – The England and Wales Cricket Board (ECB), the national governing body for all cricket in England and Wales, has signed a deal with BridgeHead Software to provide its Independent Clinical Archive (ICA), HealthStore™, to manage the storage, protection and sharing of players’ medical images. Fast and easy access, and sharing of all medical data pertaining to team members, means clinicians can quickly determine the best course of action in the event any injuries are sustained – ensuring players are at optimum fitness, and back on the pitch as soon as possible. BridgeHead’s HealthStore will provide the ECB with a central, standards-based, intelligent repository, initially for radiology images, but extending to all of their players’ medical images in the future. The independent clinical archive enables medical data to be easily shared with different groups of specialist clinicians and team doctors that have permission to view it. This means that, in the future, a player’s MRI scan taken following an injury during an overseas tour could be examined by onsite clinicians, uploaded into HealthStore, then reviewed in collaboration with the UK team doctors at home, to determine the best treatment plan. Previously, the ECB had been securely, yet manually, storing and managing their medical image data across different applications within the ECB. But, they realised that they needed a single system that would provide a central repository for all medical image records – eliminating data silos and helping to create a 360-degree athlete record. HealthStore will also enable the ECB to analyse historic medical data to monitor patterns in injuries and help them to develop technique and best practice to ensure players’ long-term involvement in the sport with minimal interruption due to injury. To further enhance the protection of ECB’s medical data, HealthStore’s powerful zero-footprint viewing capability enables clinicians and team doctors to view their players’ images without leaving any data on the local device, ensuring privacy and security will not be compromised. In addition, clinicians may view image data remotely on any device, regardless of compute power. Talking about the growth of BridgeHead’s customer base to include elite sports, Jim Beagle, CEO, BridgeHead Software comments: “When the ECB first approached us, we knew straight away that our tried and tested approach to storing medical data in a central repository, accessible to those that need it, at the point of care, was going to prove to be exactly what they needed. On the face of it, our NHS and healthcare customers seem very different from an elite sports body, such as the ECB. But, dig below the surface and the need to provide secure access to the latest medical images, wherever the patient or clinician might be, are exactly the same. As such, we knew HealthStore was as applicable to the ECB as it has proved to be for thousands of public and private healthcare organisations. With 20 years’ experience in data and storage management, BridgeHead Software is trusted by over 1,200 healthcare providers and elite sports bodies worldwide. Today, BridgeHead Software helps these organisations to store, protect and share clinical and administrative information, creating an environment from which clinical decisions can be made using a 360-degree view of medical information pertaining to an individual. BridgeHead’s Healthcare Data Management solutions are designed to work with any chosen application and storage hardware, regardless of vendor, providing greater choice, flexibility and control over the way data is managed, now and in the future. For more information, visit http://www.bridgeheadsoftware.com or follow on Twitter at @BridgeHeadHDM.